Kita biasa mendengar banyak manfaat kesihatan yang diperolehi dengan pengambilan omega-3 terutamanya bagi mengurangkan risiko serangan sakit jantung, sama ada ia diambil dari makanan segar atau dari suplemen. 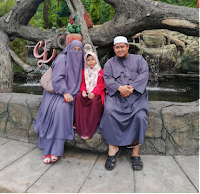 Tahukah anda apa kelebihan dan manfaat omega-3 yang sebenar? Artikel ringkas berikut menerangkan secara ringkas tentang omega-3, kelebihan dan aspek kesihatan lain yang berkaitan. Di antara kelebihan pengambilan omega-3 dalam makanan, selain menghindari risiko serangan sakit jantung, ialah juga menghindari risiko strok, nyanyuk, penyakit Alzheimer, kanser (terutamanya kanser payu dara dan prostat), mengurangkan keradangan dalam salur darah, sendi (kurangkan arthritis), lemak tak baik dalam salur darah serta tekanan darah. Bagi kanak-kanak pula, omega-3 terutamanya DHA sangat baik untuk perkembangan dan fungsi otak. Selain suplemen, makanan yang banyak mengandungi omega-3 ialah ikan (tuna, salmon, trout, sardin, bilis), kacang-kacangan (nuts) dan sayuran hijau (bayam, brocolli). Perlu diingat, sumber omega-3 daripada ikan adalah berisiko tinggi mengandungi logam berat, seperti merkuri, yang bahaya kepada kesihatan kita, terutama jika sumber ikan tersebut diperolehi dari perairan yang tercemar. Terlalu banyak mengambil suplemen omega-3 juga boleh mendatangkan bahaya seperti menyebabkan strok pendarahan di otak. Oleh itu, ambillah suplemen omega-3 ini mengikut dos yang dicadangkan oleh pakar perubatan, iaitu cuma 1 gm sehari bagi pesakit koronari jantung. Doctors may tell you to cut the fat, but not all fats are unhealthy. Omega-3 fatty acids may have far-reaching health benefits. Studies suggest they help lower the risk of heart disease, the nation’s top killer. They may also protect against symptoms of depression, dementia, cancer, and arthritis. Omega-3s are found in salmon, nuts, leafy greens, and more — but the health benefits can differ greatly from one source to another. Omega-3 fatty acids come in more than one form. The types found in fish, called DHA and EPA, appear to have the strongest health benefits. 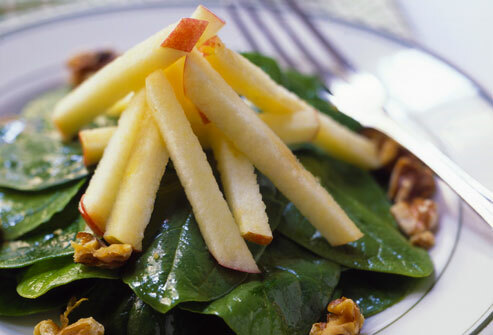 Another form known as ALA is found in vegetable oils, flaxseed, walnuts, and dark leafy vegetables such as spinach. 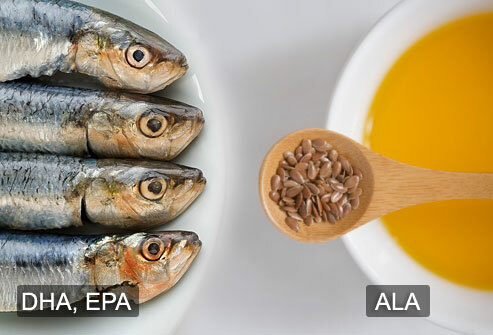 The body converts a small amount of ALA into EPA and DHA, and ALA also has some health benefits of its own. Omega-3 fatty acids are believed to help fight disease by reducing inflammation in the blood vessels, joints, and elsewhere in the body. They also decrease the risk for an abnormal heart rhythm, reduce levels of unhealthy fats in the bloodstream, and slow the rate of plaque build-up in the blood vessels. Our bodies can’t make omega-3s, so we must get them from our diet. 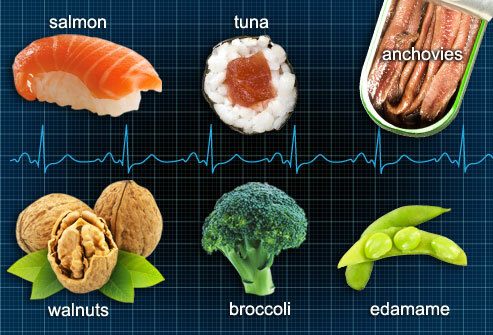 If you’ve had a previous heart attack, omega-3 fatty acids may help lower the risk of death from heart disease. Studies show a reduction in heart attacks and sudden death among heart attack survivors who boost their levels of omega-3s. This includes people who take fish oil supplements and those who regularly eat fatty fish, such as salmon or lake trout. Omega-3s seem to have a stabilizing effect on the heart. They can lower heart rate and reduce the risk of life-threatening arrhythmias or abnormal heart rhythms. Several common sources of omega-3s are shown here: fish, walnuts, broccoli, and edamame, green soy beans that are often steamed and served in the pod. Omega-3s can lower your level of triglycerides, a type of blood fat that’s linked to heart disease. 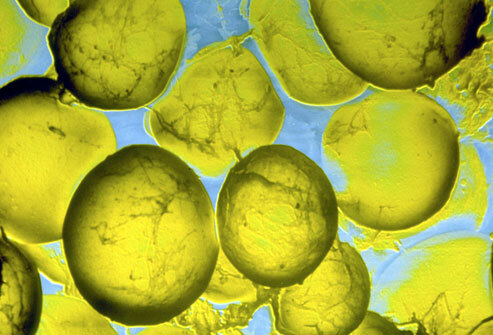 Triglycerides collect in the bloodstream and in the body’s fat cells (seen here). Unfortunately, omega-3s increase cholesterol — both the “good” (HDL) and “bad” (LDL) kind. People with high triglycerides should consult with their doctors before taking omega-3. Eating more omega-3-rich fish is generally safe. 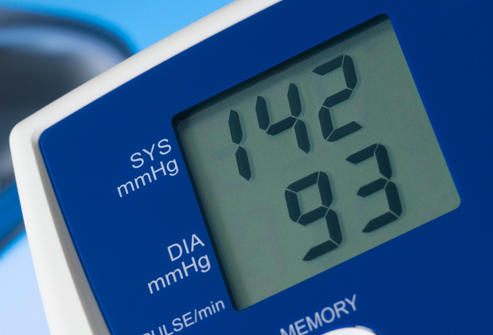 There’s strong evidence that omega-3s lower blood pressure. The effect is small, though. If you have high blood pressure, eating fish could be helpful along with other dietary changes and medications, as recommended by your doctor. 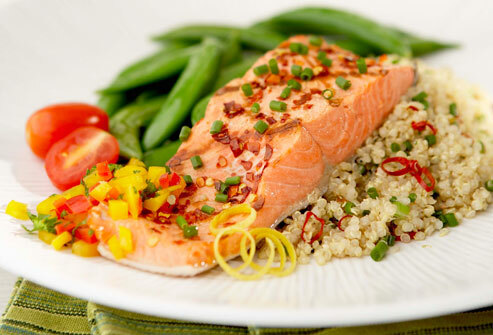 One strategy is to replace red meat with fish during some meals. But it’s best to avoid salty fish, such as smoked salmon. The evidence is mixed on whether omega-3 can help prevent strokes. It curbs plaque build-up inside blood vessels and has anti-clotting effects, so it may help prevent ischemic strokes, the type caused by clots or a blockage in the arteries. At very high doses, omega-3 supplements might increase the risk of hemorrhagic strokes, the less common type that involves bleeding in the brain. 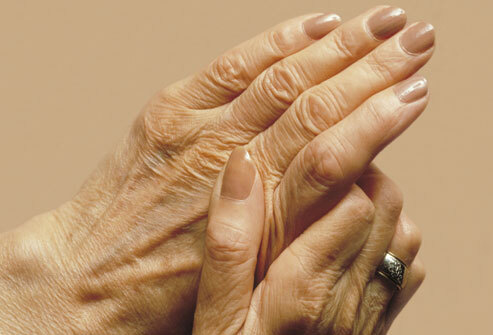 Studies suggest omega-3s can reduce symptoms such as joint pain and stiffness in people with rheumatoid arthritis. A diet high in omega-3s may also boost the effectiveness of anti-inflammatory drugs. Omega-3 fatty acids may help smooth out mood disorders and make antidepressants more effective. However, results of studies have been mixed so far. Countries with higher levels of omega-3 in the typical diet have lower levels of depression. Although more studies are needed, the evidence so far is promising. 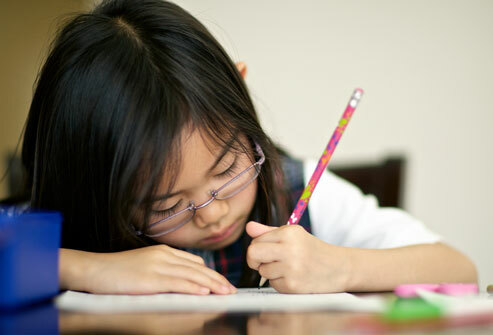 Some studies suggest omega-3 supplements may ease the symptoms of attention deficit hyperactivity disorder (ADHD). We know omega-3 fatty acids are important in brain development and function. Although evidence isn’t conclusive and a diet supplement can’t offer a cure-all for ADHD, omega-3s may provide some added benefits to traditional treatment. The jury is still out, but there’s some evidence that omega-3s may protect against dementia and improve mental function. In one study, older people with a diet high in omega-3 fatty acids had a lower risk of developing Alzheimer’s disease. More research is necessary to confirm the link. Omega-3s may help reduce the risk of colon cancer, breast cancer, and advanced prostate cancer, but more research is needed. The American Cancer Society recommends a diet that includes fish, but the organization stops short of endorsing omega-3 supplements for cancer prevention. Be wary of promises that omega-3s have “brain-boosting” powers for children. The Federal Trade Commission asked supplement companies to stop that claim unless they can prove it scientifically. The American Academy of Pediatrics does recommend that kids eat more fish, as long as it’s not breaded and fried. Pediatricians also caution against types of fish that are high in mercury, such as shark, swordfish, king mackerel, and tilefish. The best source of omega-3 fatty acids is fish, though some varieties deliver a higher dose than others. 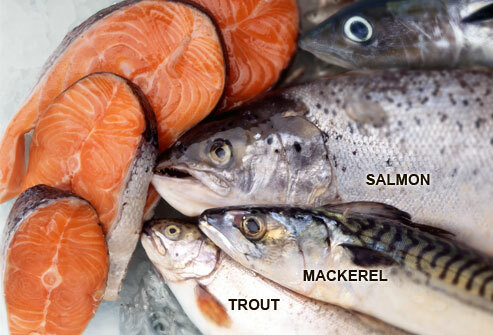 Top choices are salmon, mackerel, herring, lake trout, sardines, anchovies, and tuna. The American Heart Association recommends at least two servings a week of fish, which is 3.5 ounces of cooked fish or ¾ cup of flaked fish. Tuna is an old-school staple in many people’s pantries that can be a good source of omega-3. 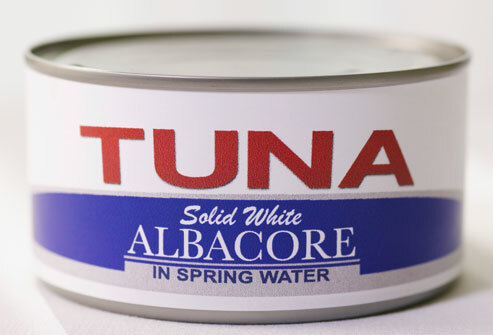 Albacore tuna (often labeled “white”) has more omega-3 than canned light tuna, but it also has a higher concentration of mercury contamination. The amount of omega-3 in a fresh tuna steak varies, depending on the species. * Limit albacore tuna to 6 ounces/week. 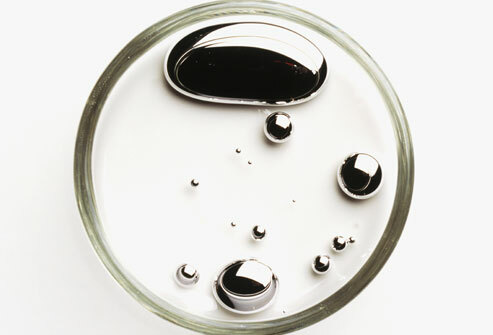 * Limit fish lower in mercury to 12 ounces/week. * Avoid shark, swordfish, king mackerel, tilefish. * Remove skin and fat before cooking fish. If you don’t like fish, you can get omega-3 from supplements. One gram per day is the amount recommended for people with cardiovascular disease. 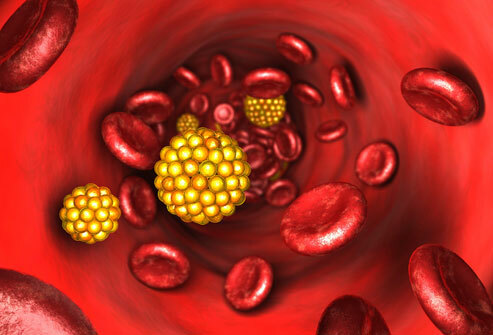 At high levels, omega-3 can increase the risk of bleeding and may interfere with some medications. Fish oil also may deplete vitamin E, so some supplements include vitamin E. Be sure to consult your doctor before taking omega-3 supplements. 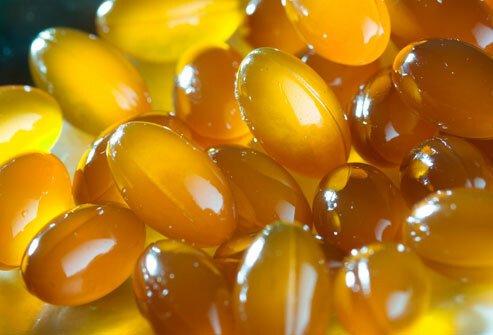 If you don’t eat fish or fish oil, you can get a dose of DHA from algae supplements. Algae that is commercially grown is generally considered safe, though blue-green algae in the wild can contain toxins. Vegetarians also can get the ALA version of omega-3 from foods such as canola oil, flaxseed, walnuts, broccoli, and spinach — or products fortified with omega-3s. 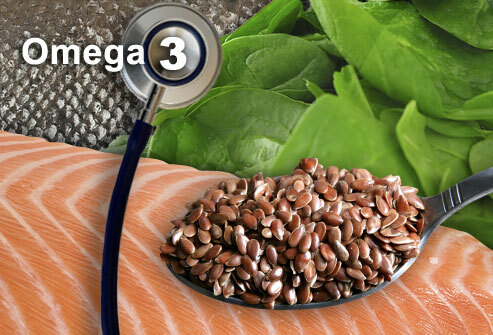 Many food products now boast that they have added omega-3 to support various aspects of your health. But be aware that the amount of omega-3 they contain may be minimal. They may contain the ALA form of omega-3, which hasn’t yet shown the same health benefits as EPA and DHA. For a measured dose of omega-3, taking fish oil supplements may be more reliable. 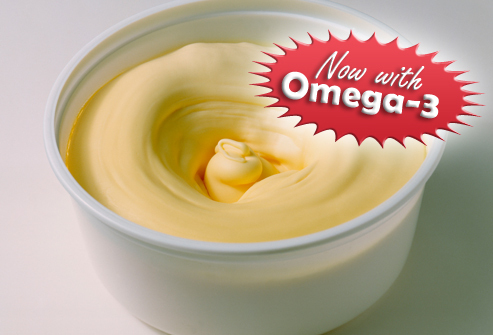 There’s another healthy fat known as omega-6. 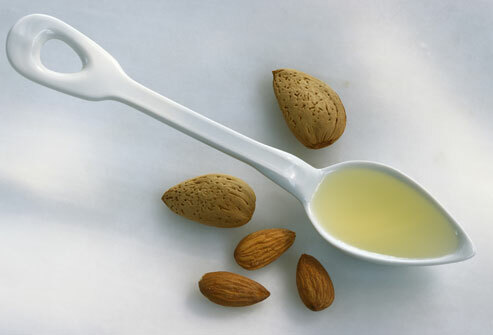 Research suggests it may protect against heart disease, especially when eaten in place of less healthy fats. The AHA recommends getting up to 10% of your total daily calories from omega-6 fats, which are found in vegetable oils and nuts. And now for some good news — most Americans already get enough omega-6 in their diet, thanks to cooking oils and salad dressings.